The Armarie Room is an independent fine press printery based in Nelson, New Zealand. Fine press printing uses the pressure of a press to transfer an inked image from a plate to paper. The result is a rich, tactile print that is high impact and long lasting. From petite prints to large format posters, fine press printing is traditional printmaking at its finest. Produced by artists for artists. Artwork never looked better pressed into fine cotton paper. 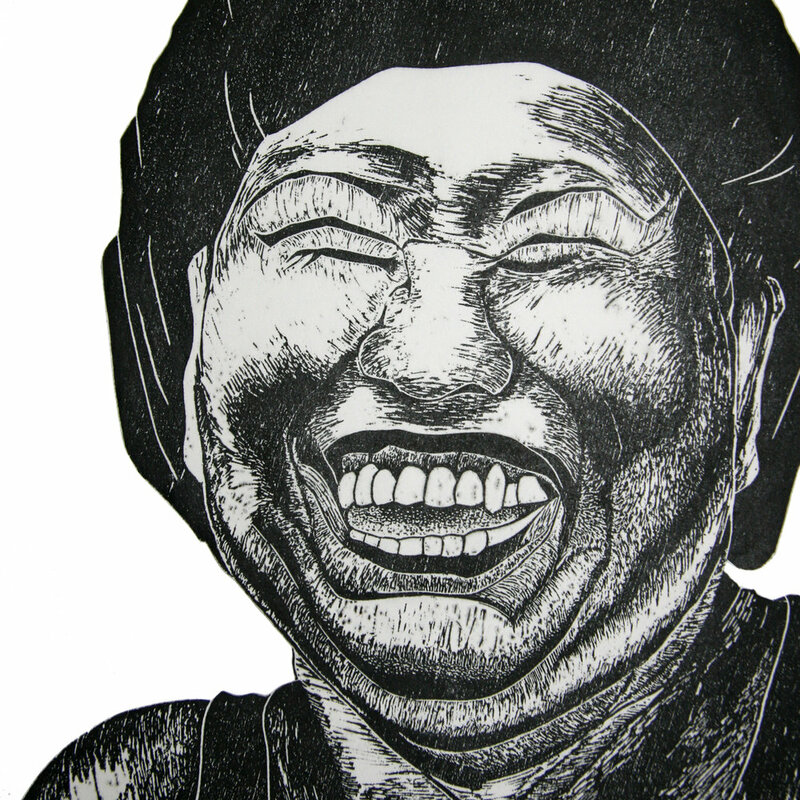 At The Armarie Room each print is produced by a skilled printmaker with care and precision. 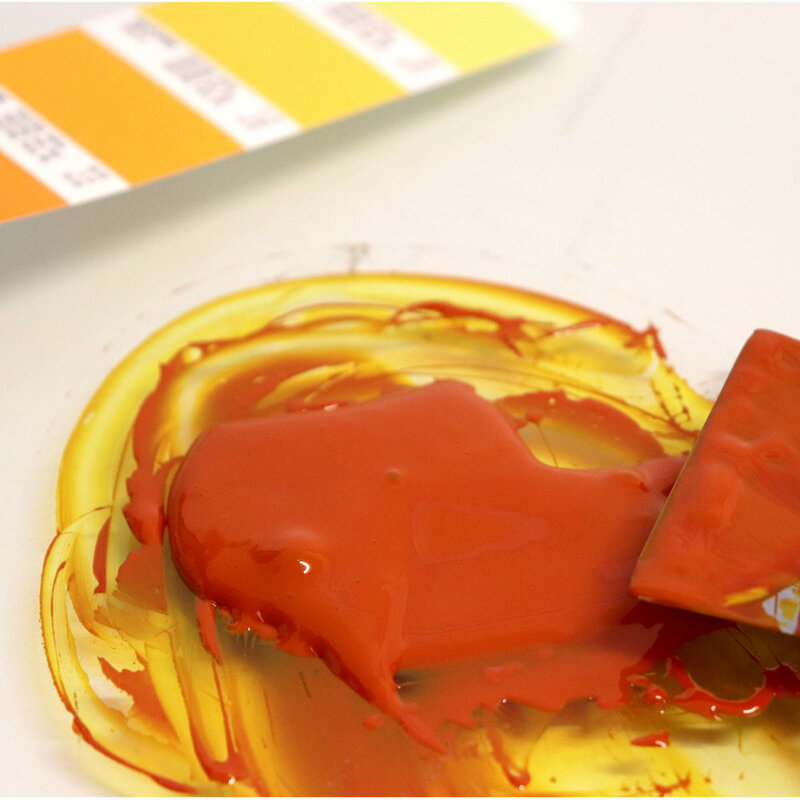 Inks are carefully mixed by hand and matched to the Pantone colour system. 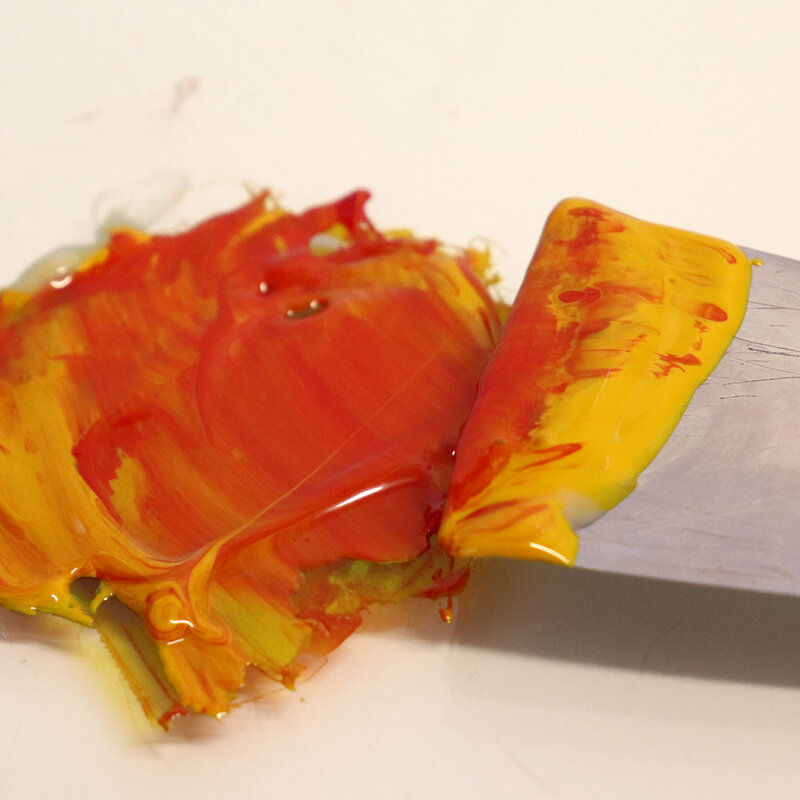 Each piece is hand pressed one colour at a time, bringing together vibrant ink with tactile impression. If you're an artist, designer or creative individual looking to deliver something a little different, we'd love to hear more about crafting your next idea to life. Represent your brand with a beautiful impression. If you're a business looking to represent your brand in unique and compelling ways, fine press printing has it all - elegance, confidence and good looks. Hand pressed on thick, uncoated paper stocks, fine press printing makes a genuine impression with its tactile, engaging touchpoint. If you're looking to make an impact with your next project we'd love to help you craft something distinct and special. Bringing quality work into the world is an investment of time, care and skill. Here's a bit about the production process involved to get your artwork hot off the press. By combining traditional printmaking with today's digital tools, fine press printing has the flexibility to produce just about anything. Be it punchy line work, vibrant shapes or subtle textures and tones, your unique creation can be produced with distinct old-school beauty. THE ALCHEMY OF THE PLATE. Creating an exact replica of your artwork, design or brand is possible using polymer plates. Your artwork can be translated onto film which is then placed on a UV sensitive polymer plate. The artwork is transferred by exposing UV light through the film to the polymer. The polymer is hardened and the other areas are washed away. When the procedure is complete, your artwork remains ready for ink to be applied. This process makes it possible to transfer hand drawn, digital or photographic work. A seperate plate is made for each colour in the artwork including any blind debossing or embossing required. If you're working with a digital design, have a look at this handy info to help get your file perfectly set up for plate processing. RICH COMBINATIONS OF COLOUR & INK. 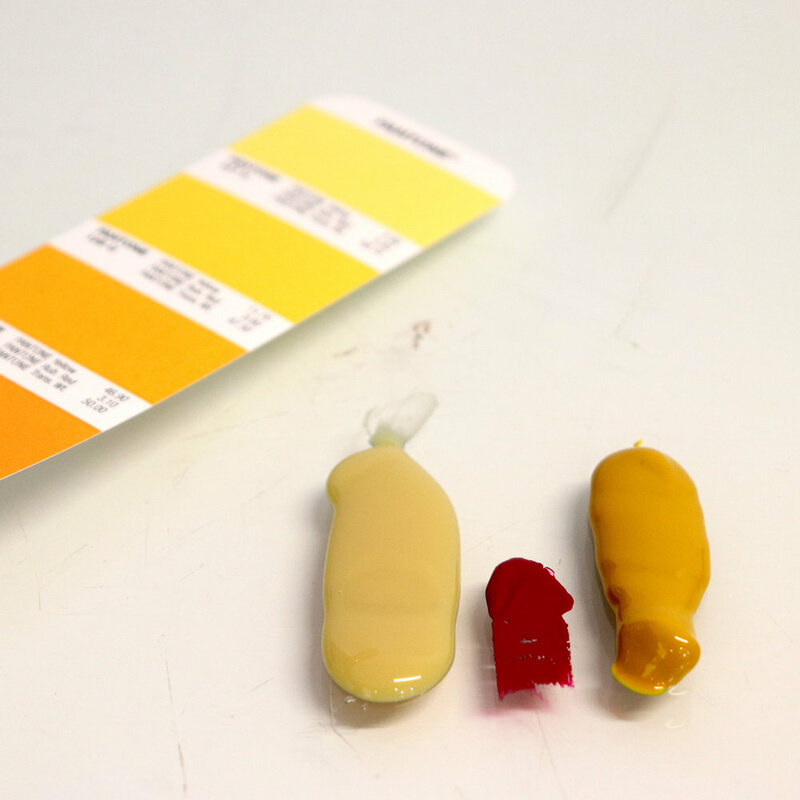 Mixed by hand and carefully matched to the Pantone colour matching system. Our inks have vibrant strength, excellent consistency and work beautifully with lush uncoated paper stocks. If you have specific colours required for your project or brand please supply the corresponding PMS codes. HAND PRESSED WITH CARE AND PRECISION. We are fortunate to work with a range of printing presses. This means we can produce everthing from small design work such as business cards through to large format art prints. The vintage printing presses at The Armarie Room are finely tuned and operated with care and precision to produce high quality work. Each project requires slightly different adjustments to ensure the right pressure and amount of ink will produce sharp, accurate impressions of your artwork. No matter what project we apply ourselves to, it is underpinned by a love of paper and ink and an unwavering attention to detail. Paper is an integral part of the final look and feel of your project. Each paper has its own subtle characteristics making certain papers better suited to various projects. The paper we work with reflects our love of quality, premium papers. We have a range of fine art and eco friendly paper that we work with on a daily basis and know intimately. 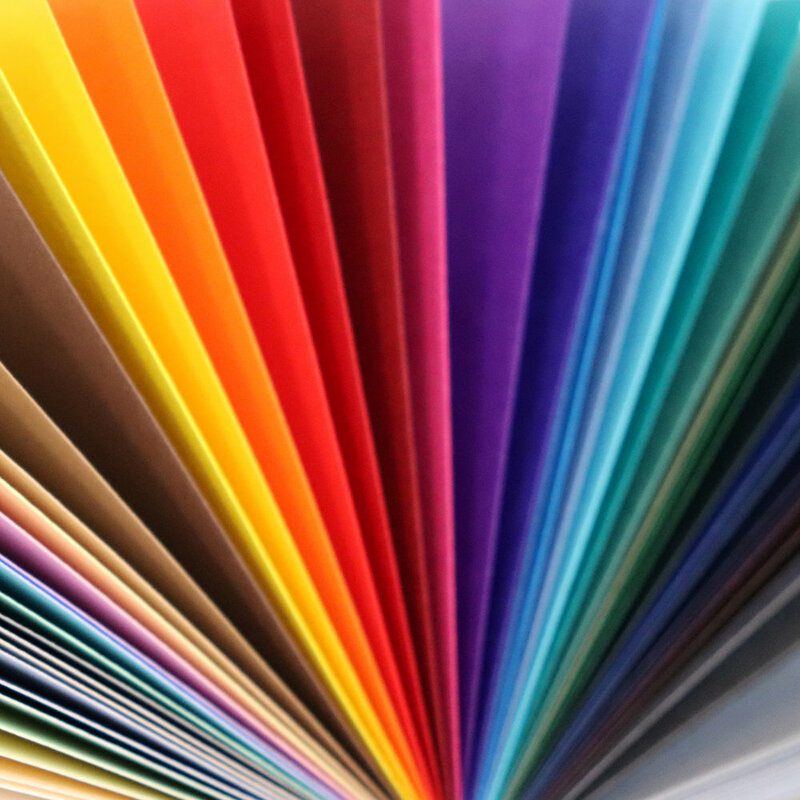 Find out more about our paper selection here. 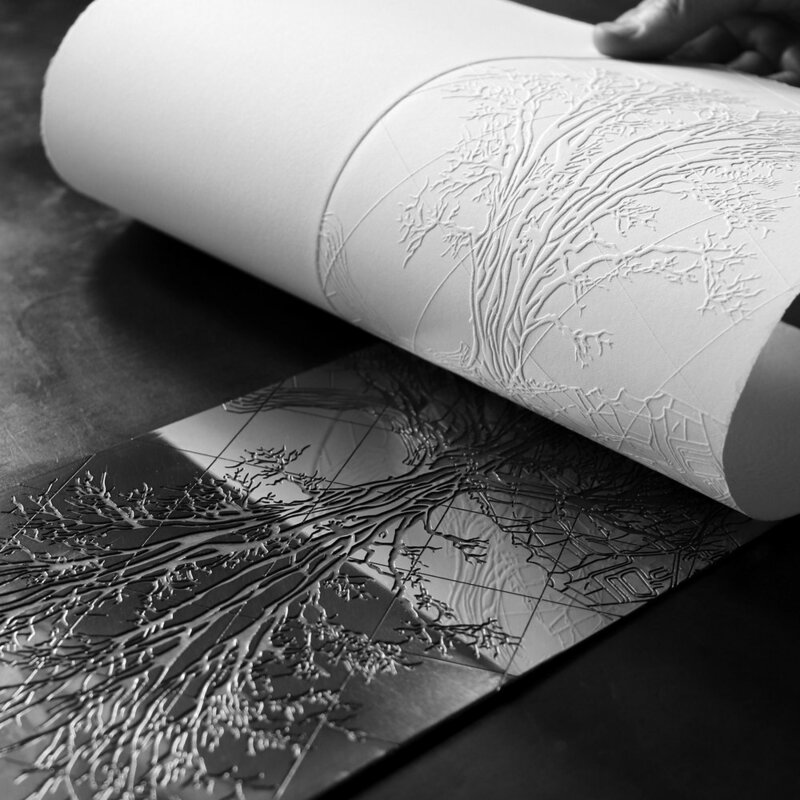 Once the work has been printed and the ink is dry, the paper is cut to the final size. This means the much anticipated arrival of your project is ready for pick up or delivery!